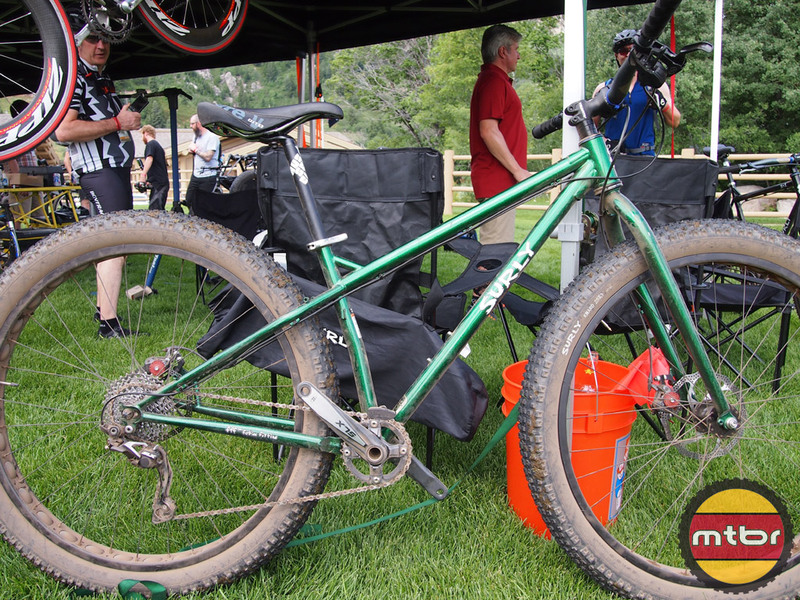 One of the hottest bikes at QBP’s SaddleDrive event is the new Krampus. 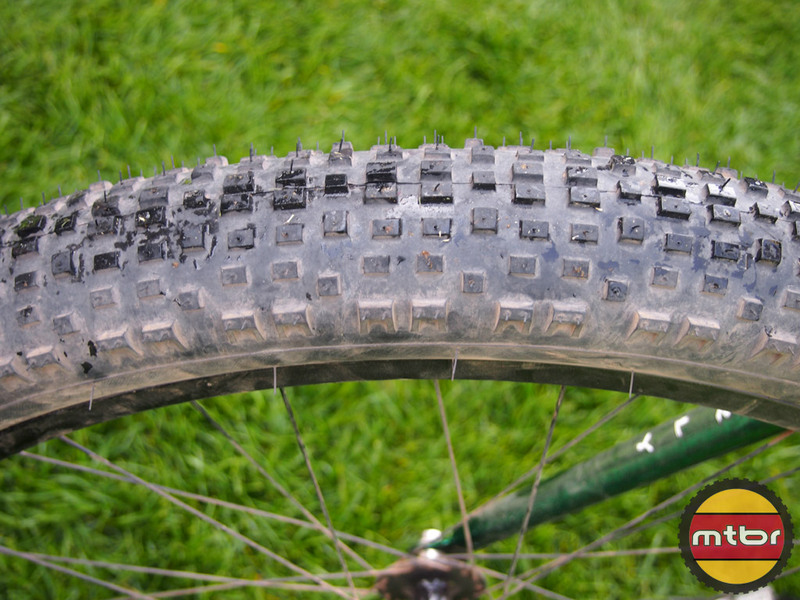 A 29er fat bike with 3 inch tires. Complete bikes will be available around March with an MSRP of $1950. Frames and tires and rims will be available this Fall with an MSRP of $750 for the frame only. 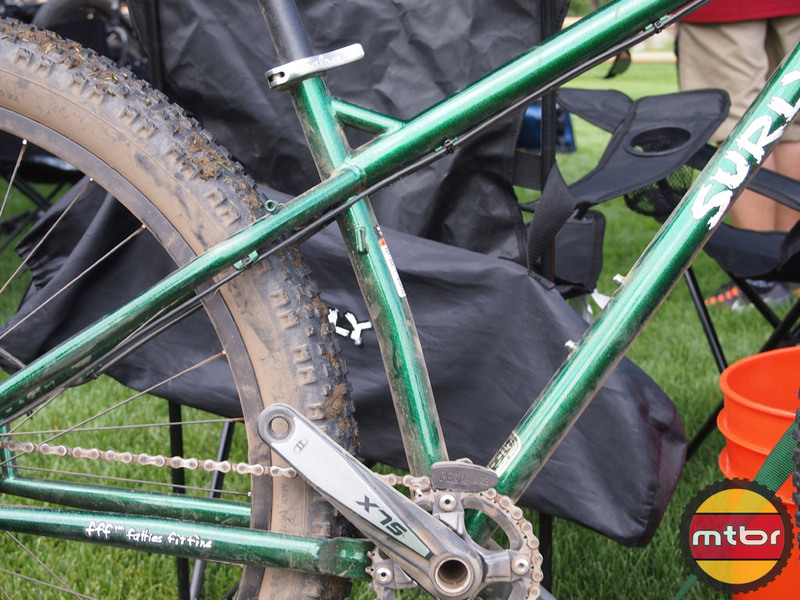 Surly wondered how big of a tire could they make with a no offset fork. 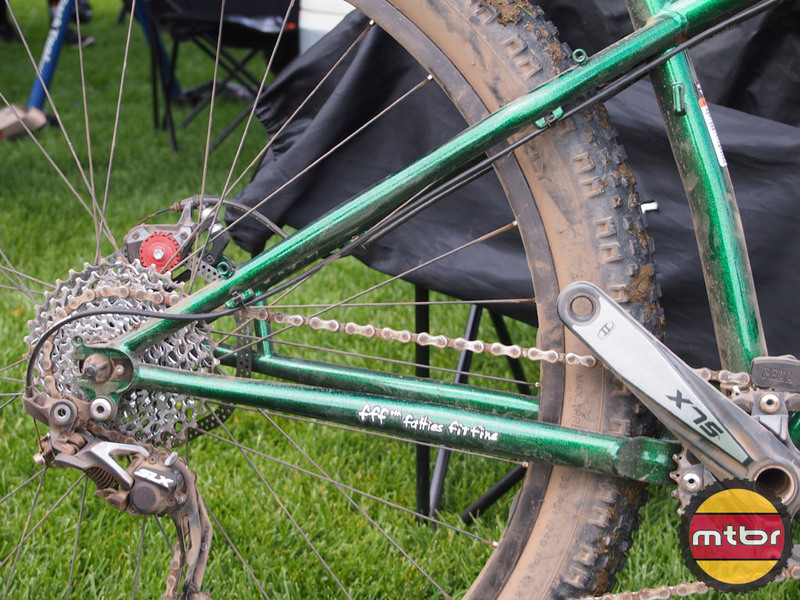 Using standard hubs and cranks, what would be the biggest tire they could use? 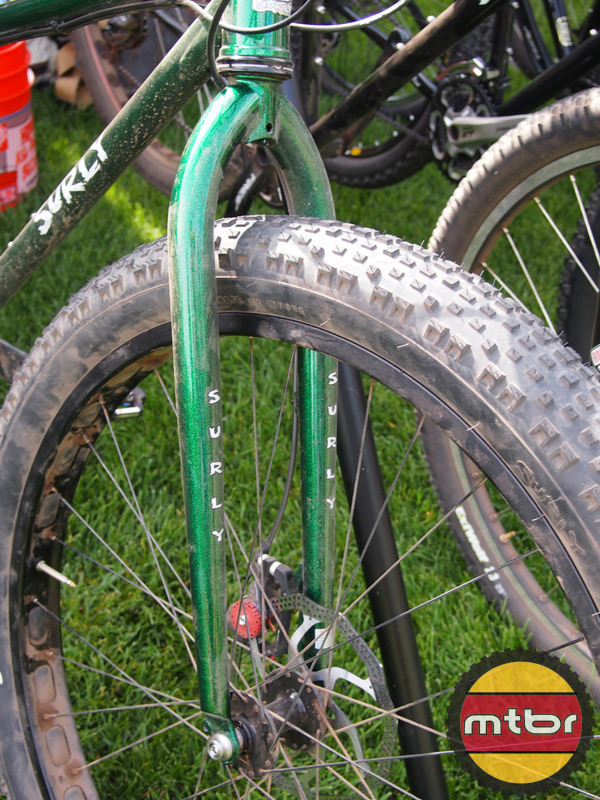 The Krampus was developed around the Surly Knard tire, a 29er tire with a 3″ width. 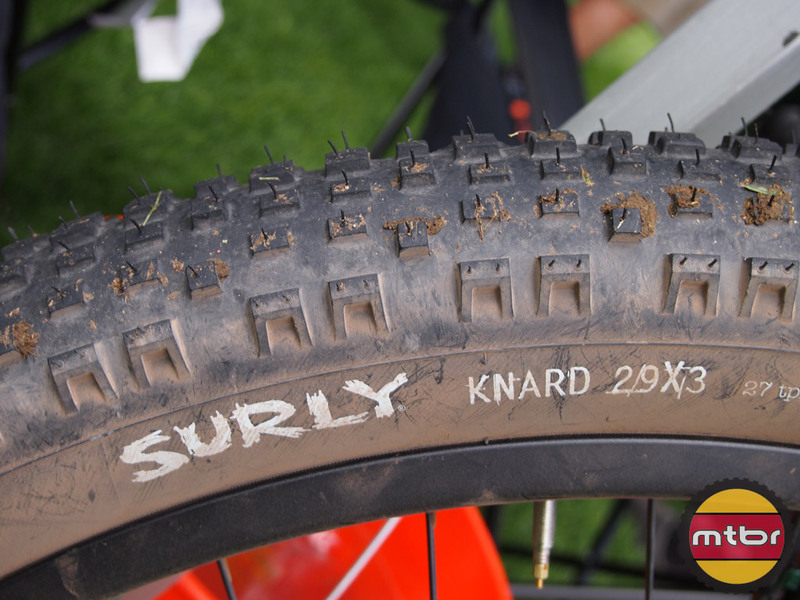 The tread design was inspired by moto dirt bike tires and the outside diameter of the Knard is 30.5″. The Knard 29×3 weighs in at 820 grams and is available in 120tpi folding or 27tpi wire bead casings. Complete bike weight (for a large) is about 30 lbs and the weight for large frame is about 6 lbs. The Krampus features the strongest tubeset that Surly has every produced and it is also one of the stiffest frames that Surly makes. 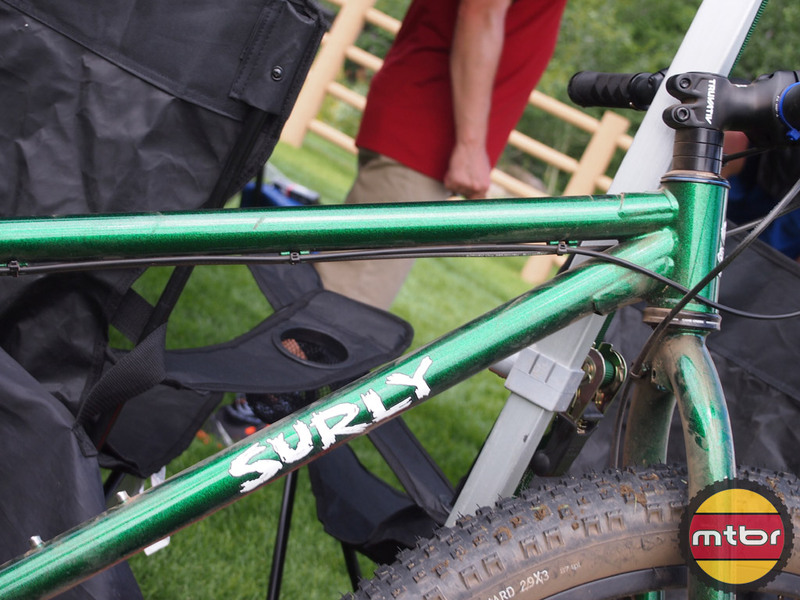 The Krampus features Surly 4130 CroMoly steel and a 73mm bottom bracket. For versatility, they wanted to allow users to tranfer parts from other bikes they might already own. More parts swappability for as much compatibility as possible. 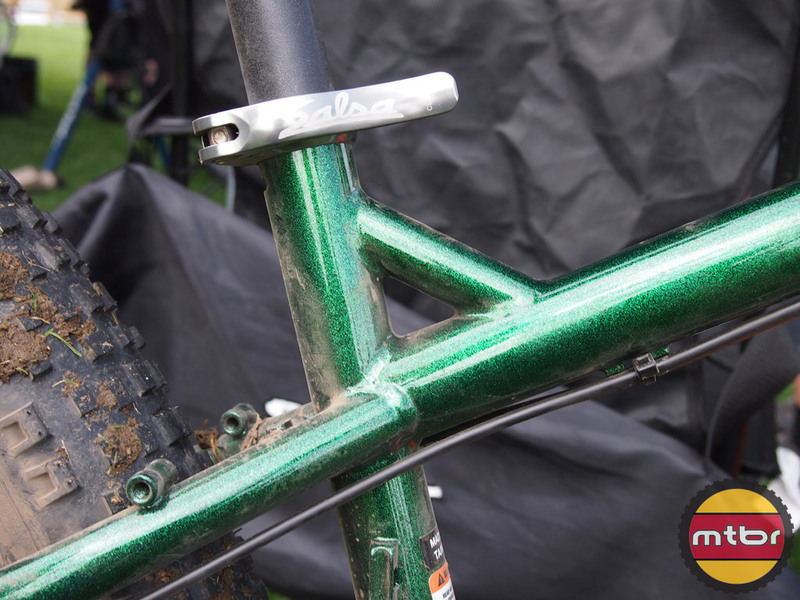 The green paint has a really cool metal flake finish. 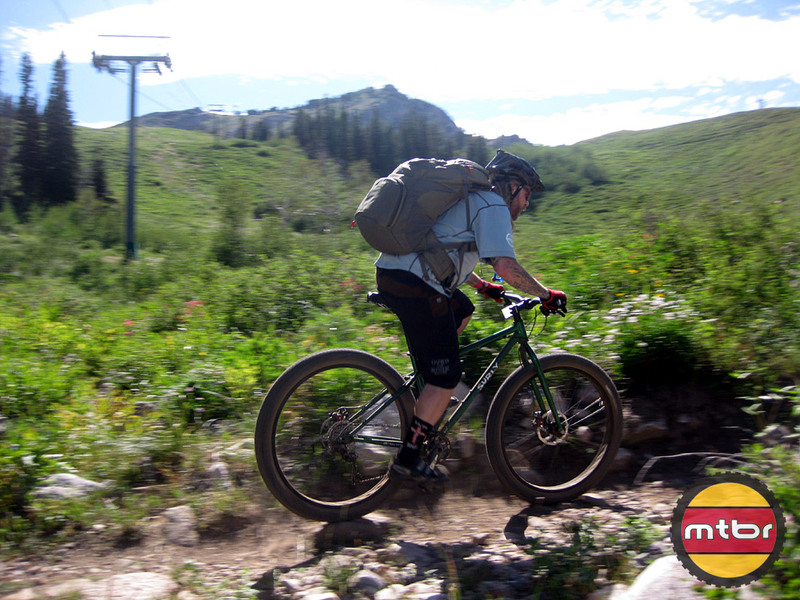 Mtbr’s very own Photo-John got to do a demo ride down one run at Snowbasin today. He was super stoked! And the name? What the heck is a “Krampus”? Well, a quick check of Wikipedia shows that the Krampus is a mythical creature thought to be like an anti-Claus. A hairy goat like creature that would torment naughty children, the Krampus was most feared. 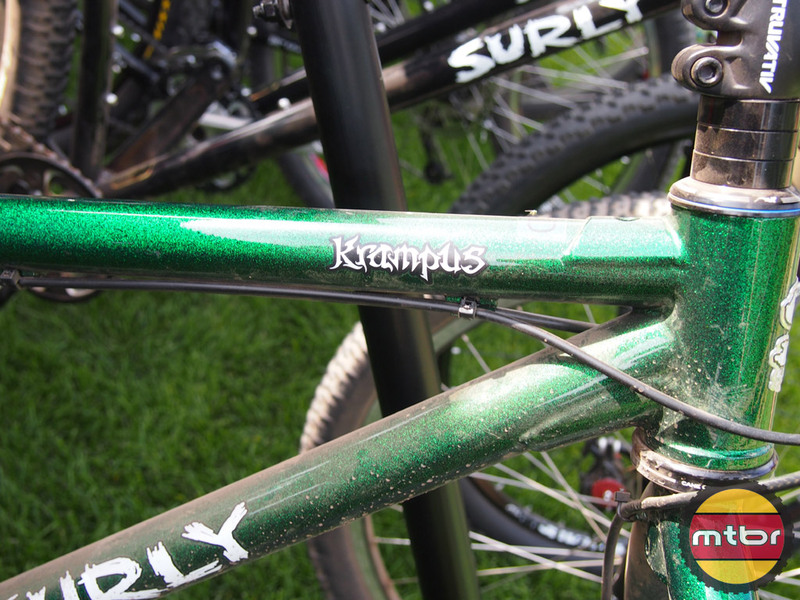 Trevor from Surly says the Krampus was known for “Bringing the Darkness”. Singlespeed option would have Sold Me!!! 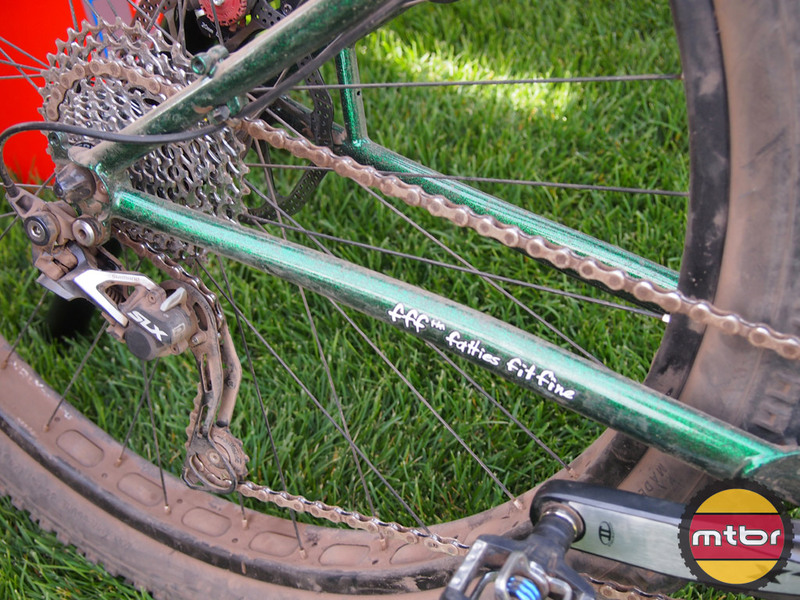 Can it run a 140mm fork with a regular 29×2.4? what size is that krampus frame at the top of this page? is that a small or medium frame? I’m not a techno guy and never put out review like this. I buy bikes like skis, if its new, fits the purpose, good to go. The Krampus was such a shock and so much better than anything before it, I had to talk about it. 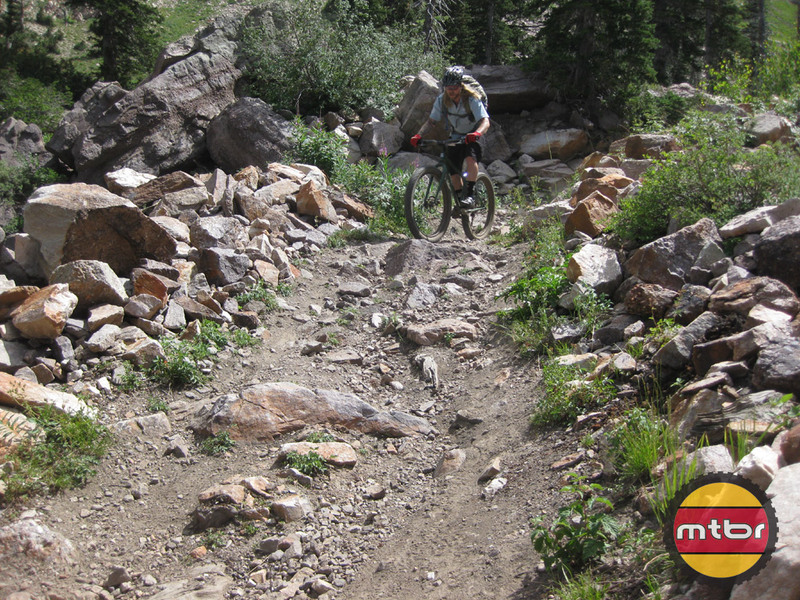 Only issue with the bike is it may not be the best if all you do is hard pack trail riding, but it may be fine. If you want to save weight, buy the frame, rim and tires. Then build it high end. The 1×10 gearing worked fine. I ditched the 34 t front and put a Wolftooth 30 T front ring since I have a lot of big climbs. Without the climbs the 34T is fine for everything. The Krampus is going to take Mt Biking to another level similar to: front shocks, spd pedals, disk brakes, full suspension, and 29rs. The bike is unbelievable. On a super steep downhill in Jim Thorpe I walked away from a very fast and competitive friend. Had to wait at the bottom for a long time. The bike was so smooth, it felt like I was going slow and was going to get run down for sure. 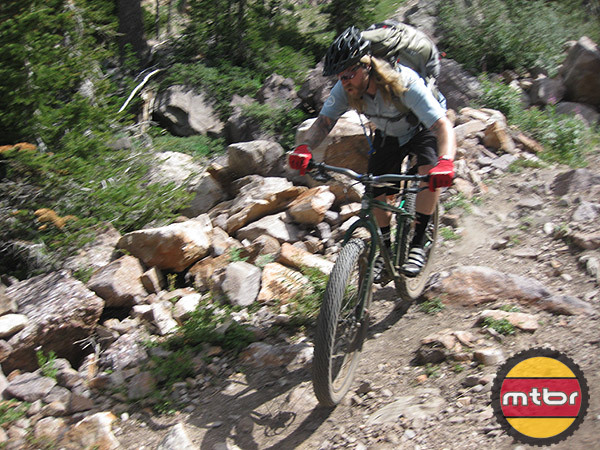 The same happened on rocky single track riding casual and dropped him pretty quick. We switched bikes. 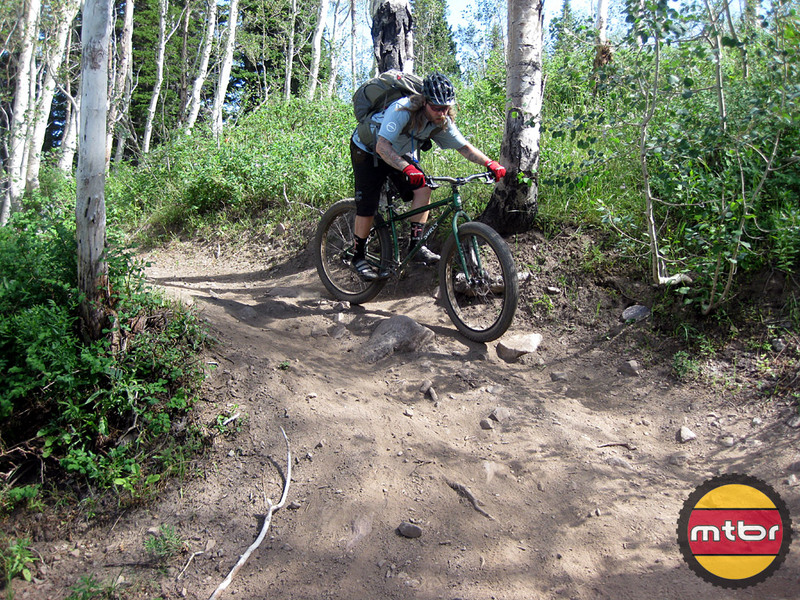 He has a brand new 29″ full sussy high end ride (don’t want to say brand because any comparison to the Krampus is unfair since its so different a ride) After riding the Krampus, the full suspension bike felt like an old 26″ ridged with 1.95 tires. Similar to that first free ride mtn bike where you could point and shoot in rocky downhill’s, the Krampus takes that one step further … you could almost close your eyes through super rocky DH sections. It does similar on climbs with the traction of a Caterpillar D8 wide track bulldozer. In addition to the width helping, the 10-12 lbs of pressure offer no bounce back at all from any rocks or bumps. The tires roll over and absorb everything vs bouncing off and hoping the suspension absorbs it. The shop added higher end cable housing to stiffen up the Avid brakes which made them feel as good as a nice pair of hydraulics. 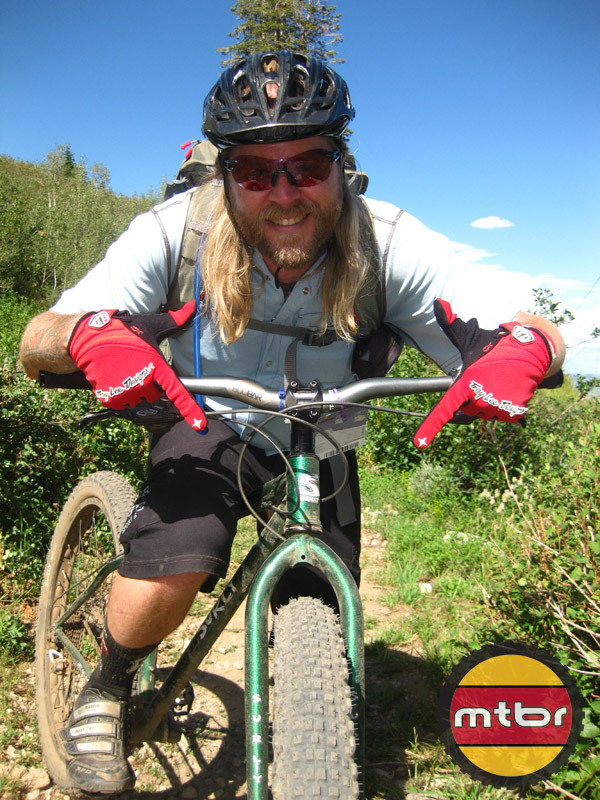 Personally, I just built up a FatBack fully rigid fat bike and i personally LOVE the thing! I don’t honestly know how to explain it but I am faster on that than I was on my 29er and the Fatties tires and wheels have to be at the minimum 2X as heavy compared to the 29er and probably even heavier. The thing climbs like a mtn goat and absorbs all but the rockiest stuff very nicely. Actually dusted off the 29er last night and compared to the Fatty did not enjoy the ride. What does this have to do with the Krampus? Actually nothing but I can say that my 29er is getting parted out and sold to save some coin for a Sahweet Krampus with all the fixins. 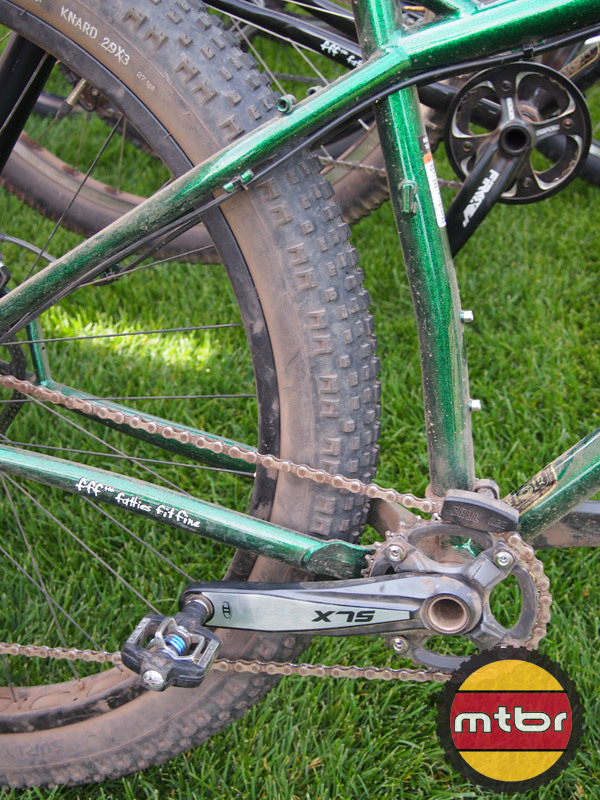 Fatter is better and if you don’t think so go ride one and then figure out what to do with your old FULL SUSPENSION!!!! These bikes are shakin things up!